Last week we welcomed a group of student journalists from St Kentigern’s Primary School to our offices. 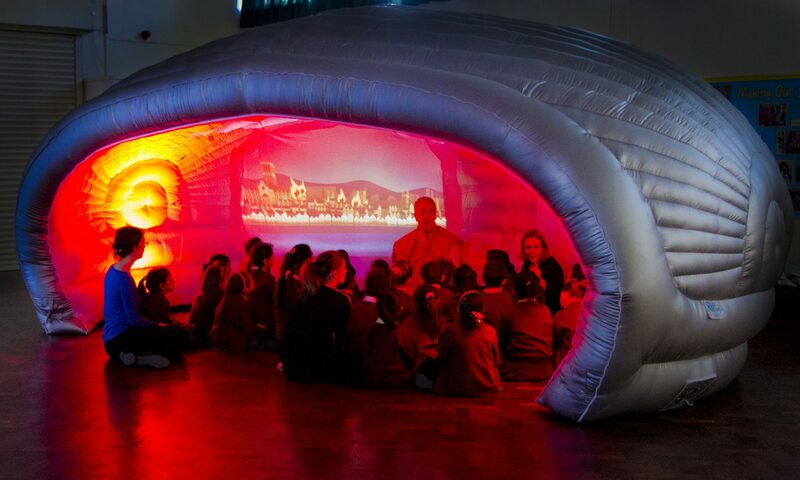 We are currently designing a 4D Immersive Space for the school and they asked if they could bring some pupils, staff and governors to investigate what we do! Our teaching and learning expert, Gav, took control of the day and invited the journalists to explore the 4D Immersive Space at our office to get their initial reactions. The pupils then interviewed the lovely 4D team to really see what makes us tick. Finally we hit ‘play’ on our Newsroom theme so we could hear what our guests had learnt! It was a really fun and exciting way to spend a Friday afternoon and we would happily welcome more journalists (student or otherwise) into our office any time! Next PostNext 4D Teaching and Learning.